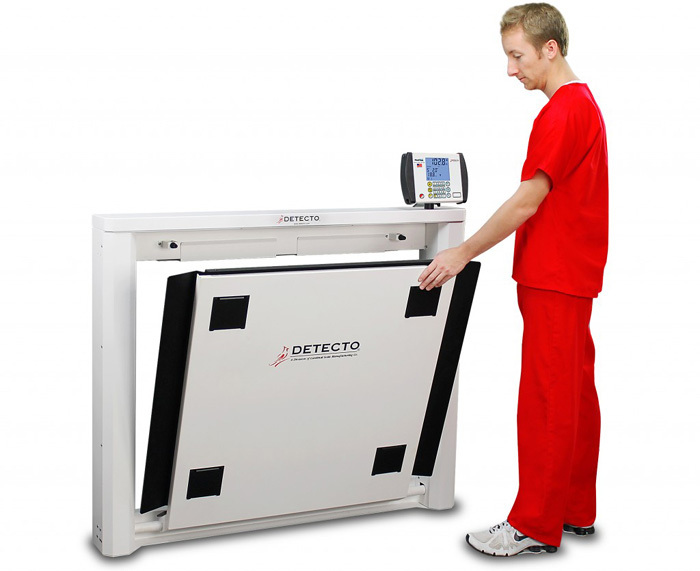 Detecto's 7550 wall-mount wheelchair scale features a unique fold-up storage design that saves space when not in use. The 7550 easily accommodates most wheelchairs with its spacious 32.3-in W x 33-in D (82-cm W x 84-cm D) platform, and yet requires very little floor space when folded up. 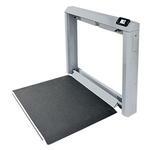 The slim 6.6-inch / 17-cm profile takes up minimal space when installed in a medical facility hallway, clinical office, or patient room. 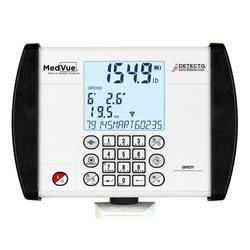 EFFICIENT MEASUREMENT - The 7550's MedVue® weight indicator is the clinical industry's most advanced, featuring EMR/EHR-ready serial, USB, and optional Wi-Fi connectivity, BMI calculation, yellow "quick keys" for basic weighing, and a multiline LCD display. The scale is powered by 6 C batteries (not included) or optional AC adapter.